For more than 30 years, Isolation Unik has been a reference in thermal insulation and fireproofing. A good thermal insulation protects a building from temperature variations and prevents condensation, moisture, mould, water infiltrations and air leaks. Isolation Unik uses thermal insulators that are proven and well-known in the industry, such as cellulose fibre and sprayed polyurethane. 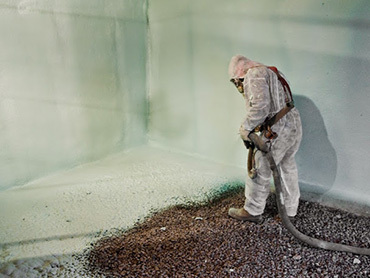 Sprayed polyurethane thermal insulation: comfort, energy efficiency and savings! Safe, durable and easy to install, sprayed polyurethane foam acts as a thermal insulator, an air seal and a vapour barrier, while being very resistant to moisture and mould. Sprayed polyurethane offers a superior energy efficiency that exceeds the Building Code’s standards for residential, commercial and industrial constructions. Sprayed polyurethane can cover various surfaces: steel, concrete, wood, drywall and more, including those that are hard to reach. 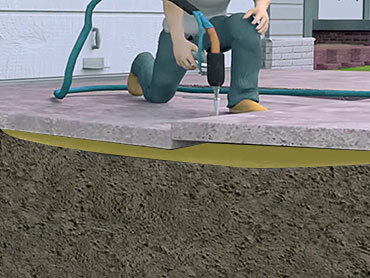 Isolation Unik’s professionals can also install insulation under yielding concrete slabs to raise them. For professional work and durable results, leave your insulation to Unik’s certified installers. Isolation Unik’s skilled technicians use state-of-the-art installation methods and equipment. Our installers receive continuous training by our various suppliers and by the Canadian Urethane Foam Contractors Association (CUFCA). Isolation Unik gets its supplies from the best polyurethane foam manufacturers, namely, Demilec’s Airmétic and BASF’s WALLTITE Eco. Fireproofing is a process by which the steel structure of a building is covered with non-flammable substances to prevent the spreading of a fire. 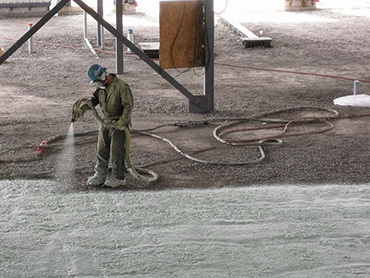 Isolation Unik’s fireproofing-trained technicians install cementitious coatings by spraying it on steel structures or polyurethane foam. Contact us for a quote or for more information about our thermal insulation or fireproofing services.